Control either Squeezelite, MPD or Jivelite with the Justboom Smart Remote. You may use the pre-configured key bindings or change them as you like. 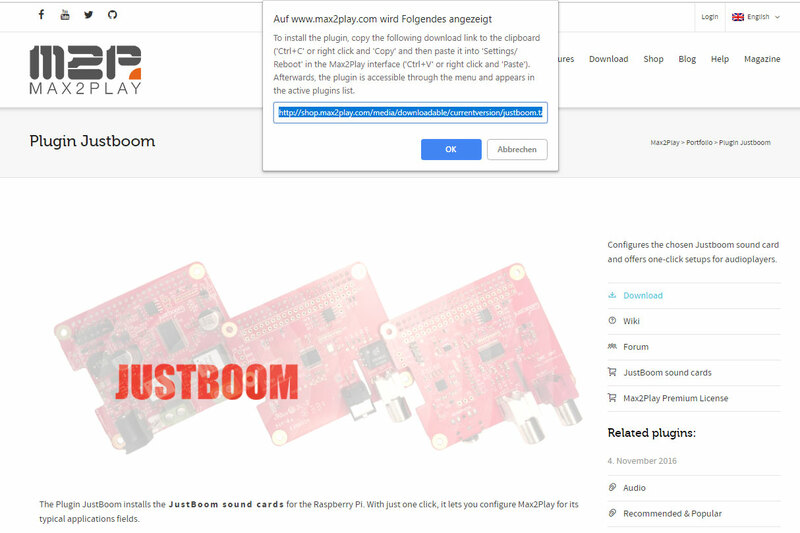 Install the Beta-Version of our Justboom Plugin by pasting http://shop.max2play.com/media/downloadable/beta/justboom.tar in the input field below “Install from Max2Play Website” at Settings/Reboot. 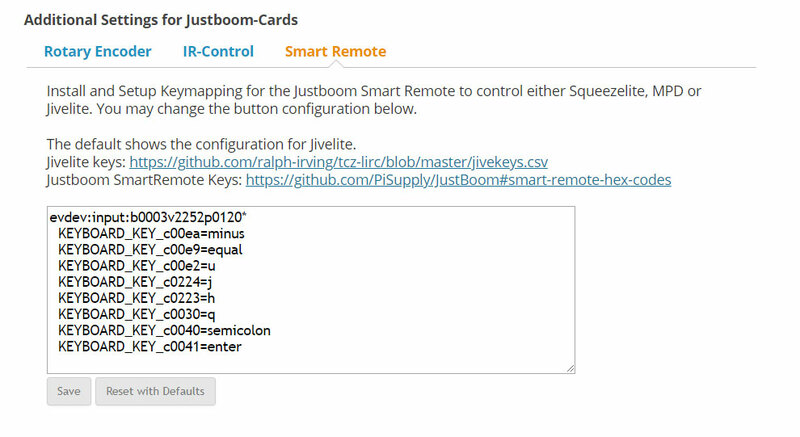 On the plugin page navigate to the Smart Remote options below “Additional Settings for Justboom-Cards“. If you want to use the default mapping for Jivelite, click on “Reset with Defaults” and after the mapping finished, click on “Save”. You can now use your Smart Remote to control Jivelite with Max2Play. If you want to set up the key bindings by yourself, use the input field. You can find the Justboom Smart Remote keys here.